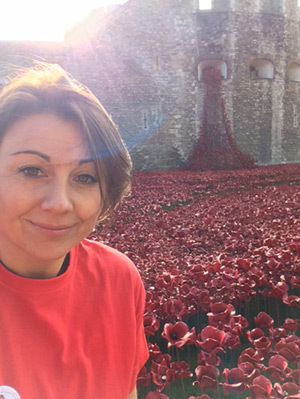 Kelly Mullane tells the story of her journey from a veteran to a city mum. Before joining the universe of corporate policies and multiple computer screens, I was in the Army. I served for 7 years and my skills in Arabic language guided my military career. Then came the day that I decided to have a go in the ‘real world’. I uploaded my CV onto a load of websites and got a call a few weeks later from a retired Infantry Major who wanted to know whether I was interested in a role in the ‘City’. My first question was ‘Which city?” (I kid you not!) And then once I had been thoroughly debriefed I stuck on my best (only) suit, polished my sensible shoes and headed to St Paul’s to learn all about Investment Banking and how I had ‘transferable’ skills aplenty that these giant conglomerates would lap up in spades! And do you know what? They did!! Five roles in three different companies later, a fabulous mentor or two, and now a managerial role within a fast-paced Sales team, I feel that I have come a long way since my days in uniform. It’s been a real journey as they say on X-Factor! I’m still in the minority being a female, I’m often the only woman in the meeting, and almost always the only ex-serviceperson but I am used to that. The industry is also changing very quickly - there are lots of women’s networks discussing how women can break through those glass ceilings, up-to-date corporate policies around flexible working, important business ideas around engaging more females and the need to prepare for the next generations to join us in the workplace. I’m also excited about the focus that ex-servicemen and women are getting in the wake of the Invictus Games and the support from The Royal Foundation set up by Princes William and Harry. Task ownership – if you give a military person a job to do, they will just crack on and get it done! People management – again, all military personnel from LCpl rank upwards have experience in people management. Fast learners – most of the service leavers I know pick things up very quickly and you usually only need to tell them once! They look for structure and Standard Operating Procedures and are often great at formalising and engineering processes. Unclear instructions and ambiguity – they don’t work well unless they understand what you want them to do. They’re used to receiving orders. Chain of command – they are used to having very clear structures of management and prefer to know precisely where they fit in the organisation. Someone took a chance on me 8 years ago when I had no finance or business experience, and it would be brilliant if I could enable this chance for someone else! I think this could be done through the Diversity Project and I would be happy to lead a Workstream focusing on the recruitment and support for military service leavers. I like being a Veteran-now-City mum – I always hold on to the fact that although some of these City-types think they’re masters of the universe, they haven’t really experienced much outside this bubble of a world – and I’ve definitely got one or two up on them there.